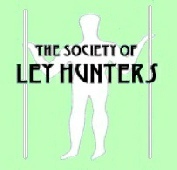 Last issue I argued that we cannot use the word "ley" as if it described some specific feature, as though "leys" were somehow distinct from other kinds of mystery lines and alignments in ancient landscapes (119.15) The reality of the matter is that Alfred Watkins coined the term "ley" for a limited period of years and was never easy with it to cover the alignments he felt he found running through the landscape. When one analyses Watkins' lines, and what he also felt should come under the umbrella of the 'ley' term I pointed out that it becomes clear that many different kinds of lines were included, anything from Native American straight trails to Olde English churchways. These latter, we now realise have variable and as yet unclarified associations with the deep-seated "deathroad" and "spirit-way" concepts that occur in different physical forms and with varying but finite socio-religious connotations throughout old Europe. These basic concepts seem to emerge from mythological motifs which in turn, it is argued, may arise from archaic associations with shamanic trance: the straight landscape line might, at origin, have evolved from belief-based interpretations of trance experiences and entopic imagery in much the same way as certain cave markings are now thought to have done. (This would explain the cross-cultural nature of the basic motifs. ) These straight "mind lines" may not even have been physical at first, but primarily cultural or folk concepts, though with actual geographical loci, much as Irish fairy passes and feng shui spirit lines still are, in the main today, as German Geisterwege and ancient Mayan Kusan Sum used to be. As a case in point, I take here an example of a line from TLH's home landscape of west Cornwall. It is both essentially a churchway and a classic "mixed-marker" Watkinsian ley. I suggest that the course of the line is in fact built up of markers from varying periods along some archaic myth-line which had its origins in the human mind, not the landscape itself. It arose from another kind of perception of the landscape, in which mindscape and landscape merged, as is the case in Aboriginal and other dreamtime surroundings. The traceable length of the line (on OS Pathfinder Sheet 1364, "St. Ives and Penzance (North)") runs for about three and a half miles northwest from the main church, St. Mary's (grid ref. SW 476301) in Penzance. This stands on the actual Pen Sans, the holy head(land), and on the site of an older chapel. 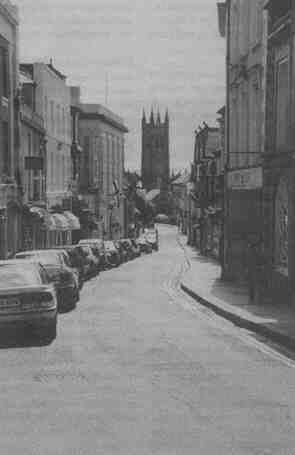 The course of the line is set here by delightful old Chapel Street in Penzance, which aligns to the church. The course of the line northwestwards fades in and out on its way through the modern sprawl of the town, but goes to the ancient church of Madron (SW 454318), just over a mile and a half outside of Penzance. Just beyond Madron, the course of the line is marked by a now isolated half-mile section of old straight track. Shortly after the end of this (SW447324) is an ancient cross (SW445326) alongside a length of country road which runs closely parallel with the line and connects with another section of old track on the line's course. Then there is an interchangeable series of segments of old tracks and length of the now-metalled country road (itself clearly based on the course of the old track that we are encountering segments of) linking Penzance with Morvah. A good length of this road falls exactly on this line as it passes right by the Neolithic dolmen of Lanyon Quoit (SW 429337). This is as far as the line is currently known to be "marked" by distinct physical features, but it is worth noting that after Lanyon Quoit, the road does a sudden "dog-leg" off the course of the line, but weaves its way back along it again as it reaches the hamlet of Trevowhan, near Morvah. 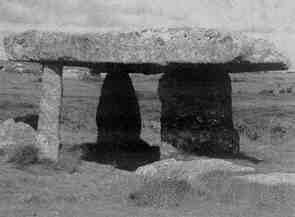 The fact that a prehistoric monument falls on the line of what is essentially a vestige of one of the numerous churchways (or "coffin lines" as local folkmemory calls them) that can still be partially traced in this old Cornish landscape, begs many questions (as is also the case, for example, with the Saintbury Churchway "ley" near Broadway in the Cotswolds - see The Ley Guide). My guess is that a line, physical or conceptual, linked Lanyon Quoit with the headland that came to considered holy long before there were any churches or any Christianity. A Neolithic line at least.